What's that? You've made a tablet? How clever! OMG! It's a tablet! We've said that a lot this week. Fancy a CES roundup? Here you go: Tablet tablet tablet tablet tablet tablet tablet tablet tablet tablet tablet tablet tablet mushroom mushroom. I added the mushrooms in to make things sound more interesting than they actually are, because so far CES 2011 has been pretty dull. 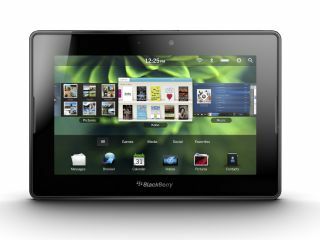 If you were to describe CES 2011 in a word, it'd be "tablets". PC firms can't get enough of the damn things. They're making tablets with big screens and tablets with keyboards and tablets with styluses - styluses! - and tablets with Windows and tablets with Android and tablets with God knows what on them. We've seen more tablets in the last few days than pharmacists see in their entire careers. That's great if you're really, really interested in tablets, but it's not much cop if you aren't. It's as if the entire PC industry has become so fixated on tablet computers that they haven't bothered to make anything else. I'm imagining the R&D department of a major PC manufacturer. "Hey, boss!" yells Big Dave the Engineer. "Check this out! I've invented a laptop that cures cancer, reverses climate change and removes the visible signs of ageing, runs for ten years on a single charge and costs 73p to make!" Dave's boss looks at it. "Is it a tablet?" Dave shakes his head, and his boss shoots him to death with guns. Steve Jobs must be doing a happy dance: one man hasn't made this much impact with a tablet since Moses came back down the mountain. Don't get me wrong, some of the tech at the show is amazing – but it's also stuff we already knew about or expected. Firms who make TVs have made slightly bigger TVs. Firms who make processors have made better processors. Firms who made internet-connected TVs or 3D TVs last year have made some slightly better internet-connected TVs and 3D TVs this year. Can you handle more excitement? OK then! Some laptops are shipping with solid-state drives instead of hard disks. Some laptops are shipping in slightly different colours or with slightly different speakers. Firms who make smartphones have made slightly smarter phones. Microsoft says the successor to Windows 7 will be called Windows 8. So is CES 2011 rubbish? Not really. The problem is that the last few years spoiled us with their 3DTVs and SSDs and iPads, new kinds of technology that were enormously exciting when they were unveiled but that already seem everyday. The truth is that technology can't be revolutionary every year, and 2011 so far is clearly not one of those years. There's every possibility that CES 2012 will be awesome – and if it isn't, at least we'll be able to mock all the iPad 2 copies.